Do water filters help? You decide! Just changed my filter set after about 11 months. Just 2 of us with relatively low water use (other than lots of flushing!). The bright white one in front is obviously the new one. The one on right is 1st in line (25micron, the 2nd is 10micron and the final filter is 5micron carbon block.). All that gunk would have been in our clothes, food & hair. Yuch. I cut open the first one and the dirt goes about 95% through it. This is not an advertisement for any particular filter so brand is not listed.We live in Amelia near Colony if it matters. We've had Nova water filtration systems in both of the homes we've owned here in TV. Wouldn't be without them. They do the trick. We have the Nova filters as well as their softener system which really made a difference in the water quality. Check out Skip Smith on YouTube. Skip just did a video in the last couple days with the owner of Nova changing his filters and discussing them as well as the water softener. We do too. Just had both installed a few weeks ago. We've used water softeners since the mid '80s, and also a water filter in our first TV house, but the Nova system with water softener (we use potassium chloride, not salt) is a huge improvement over anything we've ever had. The water tastes amazing. Showering with the potassium chlorided water as opposed to the salt leaves you feeling squeaky clean. 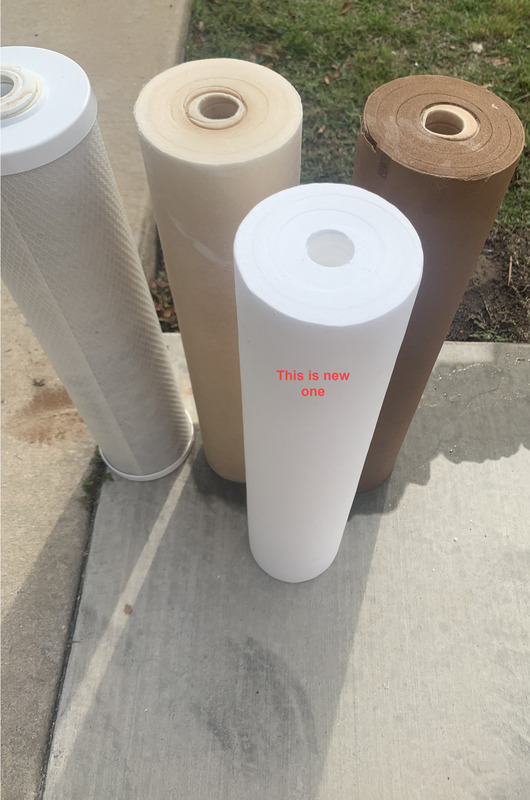 Has anyone sent a used filter to a lab to see what is in it? We have used Nova system for the last two years and are very happy. Had difficulty getting past the taste and now, no problem. Also,do not need to have a water filter in our refrigerator since all our potable water is filtered as it enters the house. Did not see a need for water softener system at this time.